LINT BRUSH - Upholstery and clothing brush for removing animal hair and dandruff. 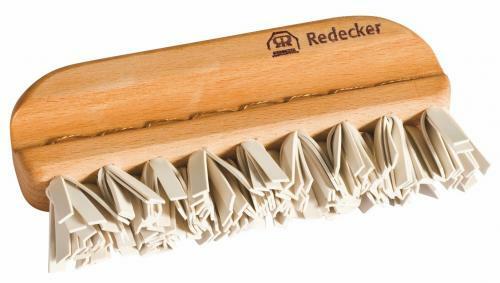 The Redecker lint brush is a special kind of brush. The hand- mounted natural rubber takes on a static charge through rubbing and attracts hair, lint and dust like a magnet. The particles deposited on the surface can then be removed easily by hand or under running water. Wash in warm soapy water when required. Oiled beechwood handle and natural rubber.